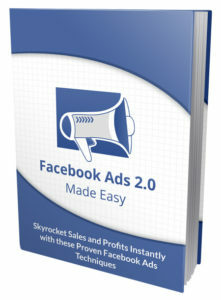 Facebook Ads is fast becoming one of the coolest ways to make money online. This is simply because Facebook advertising is not only a great platform for advertising your product, business, services , events or brand; it can also serve as a cool way of making some cool hundreds and thousands of dollars if done the right way. The very first thing to you need to do before creating a Facebook ads campaign is to select the type of campaign you want to run according to your objective, and edit the settings to suit your goals before proceeding. You can also choose to increase conversions on your website, but to ensure that works better you have to take pixel in the merchant’s shopping cart. Choosing a target your visitors can bring in the right audience to your campaign which in turn increases the conversion ration of your campaign. To achieve this, you can make use of your email list if you have one, and also search for people on your Facebook list. You can as well choose to target people with similar interest and likes or select your target audience by Job titles, specific interests, geographical areas or demographics. Your choice of images play very important roles in determining the success of your Facebook Ads campaign. A good image which is related to the campaign helps to grab the attention of users. It also helps to explain what your service or product is all about. Furthermore, images used in ads can also be used in generating leads which would be beneficial in the long run. Offering incentives and benefits to your visitors helps to drive traffic to your Facebook Ad as well as increase the click rate and conversions. People choose to go for benefits compared to the features of the products. Defining your objective before creating any Facebook Ads campaign is the most important thing to do. You need to be specific on your aim for creating this campaign as well as the budget you choose to invest in it and also how much ROI (Return On Investment) you expect to earn from the campaign. It is highly advisable to set your budget by keeping all these factors in mind and have a clear defined objective for your Facebook advertising campaign. After you’re done with all of the steps listed above, the next thing to do is to PUBLISH your ad and wait for the results. Don’t just leave your ad once its been published, optimize the results generated and make occasional changes after some time. 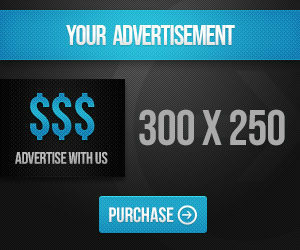 To increase your conversion rates, circulate your ads to reach more audience. The methods discussed in the article are what i use for my personal Facebook Ads Campaign. If you want to make money from Facebook Ads, You can also also follow and implement them. To help you understand and master how Facebook Ads work; i’m giving out a free Ebook on Facebook Advertising, checkout the download LINK below. You can also checkout my post on how to save money on facebook advertising cost.